Interact with top brands and vendors like Mary Kay, Jamberry, YETI, Thirty-One and more at Marett Carpet One! Here at Marett Carpet One, it’s not just about flooring. We are more than that. We have a company comprised of individuals that have passion, personality, and FUN! As a team, we embrace each other and with that, we like to support our fellow teammates. One of our staff professionals had come to us with this unique idea and to say the least, we were very interested! It’s not every day that we can say we are hosting a Ladies Night Out event, but we are very excited to see the store come alive in a different manner. 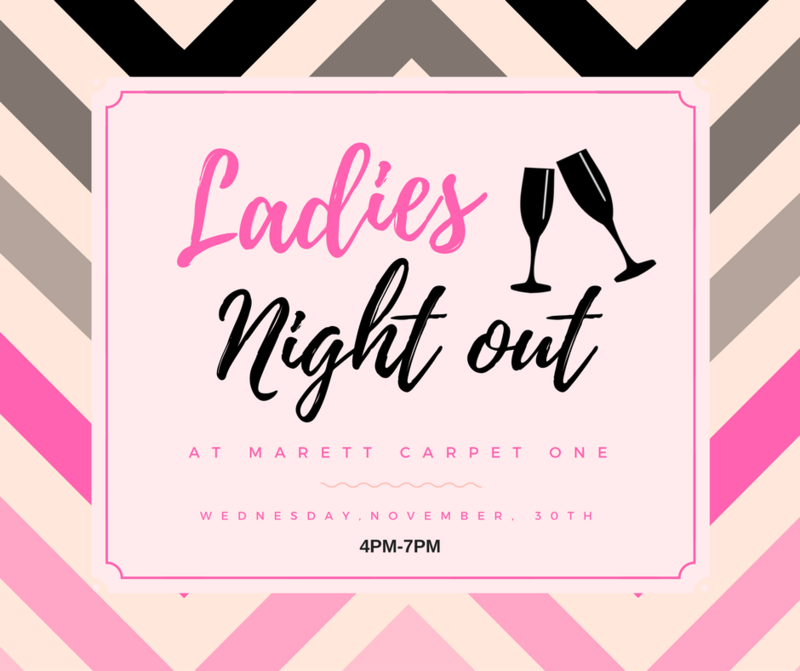 We’d like to invite the ladies for a night out at our store here at Marett Carpet One. With the stress that comes with the holidays and Thanksgiving, it’s important for us to treat ourselves, especially the ladies who work very hard during this time of the year. This event is free! Beginning around 4PM, we will have an assortment of vendors like Mary Kay, Pampered Chef, LuLaRoe and many others for you to peruse at your liking. Whether it be ‘window shopping’ or the real deal, this ladies night will be fulfilled with swag bags, pamper items, and door giveaways. Included in our event, we will have beverages available, light appetizers, and a 50/50 raffle for a chance to win a prize! Better yet, bring a friend! We encourage any lady to join us who may be looking for a night off from the household. We look forward to seeing you!